Western Cape MEC of Community Safety Dan Plato said he is concerned about the sound mental state of police officers. This as a police constable from Mitchell’s Plain shot and wounded his girlfriend and two other people before turning the gun on himself at the Cape Town International Airport on Wednesday. MEC Plato said there is clearly a serious problem in the South African Police Service and it is one that needs urgent attention. Ministerial Spokesperson Greg Wagner said MEC Plato will communicate with the provincial police management to find out how the department of community safety could of assistance in dealing with the problem. Wagner further said the MEC will also look at ways how to sensitize emotional and psychological factors that affect the police. A biker was tragically killed after his motorbike slammed into the Armcor barriers on the N1 North near the Malibongwe Drive on ramp this morning. Netcare Limited Spokesperson Chris Botha said when paramedics arrived on scene and found that the road had been obstructed with accident debris. Botha said the biker had died due to injuries he sustained. The exact details to the cause of the accident remain a subject of the police investigation. In another accident, a man was critically injured after he was hit by a car on Ballito Drive on the Natal Coast this morning. Chris Botha said paramedics found the man lying on the road with critical injuries. He added that the man was treated on scene before being transported to a nearby hospital for further care. The Congress of South African Trade Unions in the Northern Cape has called on the new cabinet in the province to focus and dedicate to the implementation of the Manifesto commitments and accelerate service delivery. Cosatu Provincial Secretary Anele Gxoyiya said the cabinet is the reflection of both continuity and change and has the potential of taking the province forward. Gxoyiya said some of the members are former union representatives and they know very well the struggles of the workers and the people at large. He added that as the union they have full confidence on the cabinet that has been selected that they can do the task given and they know what is necessary. The Cape Chamber of Commerce and Industry said the ongoing taxi violence cannot be tolerated any further. President of the Chamber Janine Myburgh said every incident of violence and murder is a personal tragedy affecting many people, but the wider significance is that it undermines the whole public industry in the City. Myburgh added that the mini-bus taxi industry is beyond doubt a vital part of the economy of the city and provides work for many people including those who drive and maintain the vehicles. “We need to understand the problems and find solutions. It does not help to see only the negatives in terms of the safety record of the taxi-bus industry and the violence. Minister of Home Affairs Malusi Gigaba has announced several amendments to the Immigration Regulations of 2014 which came into effect of the 26th of May. Under the new regulations the word visa replaces the word permit expect for the permanent residence permit. Minister Gigaba said from now on every child must possess his or her own passport. Minister Gigaba said the amendment of the Immigration Regulations of 2014 states that no business visa may be issued or renewed to a foreigner, who intends to establish or invest in a business that is listed as undesirable business undertaking. Minister Gigaba said we need to continue ensuring the effective and efficient management of migration in the interest of the security of the country. “Part of modernizing Home Affairs and strengthening its security elements is to ensure that we are able to have clarity who is coming in our country, what are their details, what are their biometric details so that we can provide our country with security and provide our visitors with security whilst they are travelling into our country and whilst they are also in South Africa.” Gigaba added. The Congress of South African Trade Union has called for the reinstatement of the 450 workers who were dismissed because of shortage of water in the Supreme Poultry Company. Cosatu had a meeting with the employer this week. Cosatu is arguing that it is not the responsibility of workers to provide water but the responsibility of the municipality. Cosatu North West Provincial Secretary Solly Phetoe said we met with the employers on Wednesday and they confirmed that it is not their responsibility of workers and managers so why workers must be punished. “We proceeding with our march our demand is that those workers must be reinstated unconditional and we can go to the City in terms of discussing with the management what is that must happen between ourselves and the employers to approach the municipality in dealing with that matter.” Phetoe added. The Independent Electoral Commission has released the results of the by-elections which took place in KwaZulu Natal, Gauteng, Limpopo and the Western Cape on Wednesday. IEC Spokesperson Kate Bapela said the Democratic Alliance won four of the six contested wards and the remaining two went to the African National Congress. Voter turnout stood at an average of 31.22 percent. Bapela added that the Western Cape in ward 25 which is the City of Cape Town. The City was retained by political Party which is the Democratic Alliance as well as ward six which also is the City of Cape Town. Accident on Durban Road leaves one dead and 13 injured. Labels: Accident on Durban Road leaves one dead and 13 injured. The Democratic Alliance has called the Special Investigating Unit’s provisional report on Nkandla a complete whitewash. DA Chairperson of the Federal Executive James Selfe said they will not rest until all those who have acted unlawfully, including President Jacob Zuma are held accountable for this gross abuse of public money. Selfe added that the SIU report has now been apparently completed and what it seems to do is to shift the blame to junior staff of the Department of Public Works. They do not regard that as a being a satisfactory explanation. The Independent Police Investigative Directorate has confirmed that it has launched an investigation into the shooting incident which took place at the Cape Town International Airport on Wednesday. A Mitchell’s Plain police constable shot and wounded his girlfriend and two other people before turning the gun on himself. IPID National Spokesperson Moses Dlamini said that IPID and the police have opened two dockets; an inquest docket as well as an attempted murder docket. The investigation is still on and there are no arrests as yet. “There’s a post mortem scheduled for today which will establish the cause of death of the deceased officer” added Dlamini. The Higher Education Transformation Network has expressed its disappointment at the recent developments at the University of Cape Town regarding its admission policy. The HETN said it is dangerous for UCT to carry on with the process of exclusive policy of removing the category of black students on its admission forms. HETN Spokesperson Hendrick Makaneta said UCT has failed to listen to the voices of students and agents of transformation. Makaneta added that they have equally expressed their concern declaring that the reasons for including race in the application form of universities have not been realized. The problems that led to that have not been resolved. The National Education Health and Allied Workers Union in the North West has called on all the newly appointed national and provincial administrations to make service delivery a top priority. Nehawu Provincial Secretary Patrick Makhafane said the interests of the working class and the poor cannot be postponed forever. Makhafane said all newly appointed administrations nationally and provincially must make service delivery as a top priority towards our people. Makhafane said workers find themselves not having work due to the lack of service delivery and service delivery protests. “Service delivery effects everybody and therefore should be taken seriously by the newly appointed administrations Makhafane added. Western Cape MEC of Community Safety is today expected to hand over a mobile safety kiosk to the Stellenbosch Municipality. This follows increased number of hijackings and crime in the area. Ministerial Spokesperson Greg Wagner said MEC Plato is concerned about the lack of arrests following several hijackings in Stellenbosch. Wagner said the hand over followed seven meetings between the Department of Community Safety with the South African Police Service, the Stellenbosch CPF, Stellenbosch University, municipality and students. The meetings came as result of a number of hijackings and crime in the Stellenbosch area. “The safety trailer is innovative initiative aim to increase the safety of communities by putting in place free, easily accessible and visible security services for the community Wagner added. Western Cape MEC of Economic Opportunities Alan Winde together with MEC of Finance Ivan Meyer will today be visiting Cape Fruit Coolers to explore economic opportunities. This visit is also aims to highlight the importance of logistics in economic growth and jobs. Ministerial Spokesperson Bronwynne Jooste said this will highlight the importance of logistics and economic growth and jobs in the Western Cape. It ahead of their visit to Atlanta, Georgia which is their one of yard at states logistics. It is a great sector for our province and it’s worth R25 billion. An explosion at a petrol station in Newcastle, KwaZulu Natal has left two people injured. It is believed that the explosion happened when one petrol tank apparently exploded while the men were working on it. ER24 Spokesperson Russel Meiring said ER24 paramedics, along with provincial services, responded to the Allen and Harding Road intersection and found that both victims were burned during the incident. “One of the men was in a critical condition whilst his colleague was moderately injured. They were treated by paramedics and thereafter transported to Mediclinic Newcastle Hospital for further medical treatment.” Meiring added. The exact details of the cause of the explosion will remain the subject of a police investigation. North West Premier Supra Mahumapelo has condemned the alleged petrol bombing of two houses belonging to miners in Sekile outside Rustenburg. It is alleged that the houses belonged to members of the National Union of Mineworkers. Premier Mahumapelo has called on the community in the platinum belt to exercise caution. Premier Spokesperson Lesiba Kgwele said Premier Supra says that acts of violence and intimidation targeted at non-striking mineworkers and the destruction of private and public property is uncalled for. “He has appealed to communities in the platinum belt to exercise the restrain and trust police in the investigation to ensure that those behind the senseless violence are behind bars.” Kgwele added. Netcare 911 paramedics this morning attended to an accident scene whereby a woman died and nine others were left injured in an accident involving a truck and a taxi. Netcare 911 Spokesperson Chris Botha said when they arrived at the scene they found that a female had tragically died due to severe injuries she e had sustained and two people had sustained critical injuries and seven others sustained serious injuries. President Jacob Zuma on Wednesday welcomed the support which has been extended to the new Ministers and Deputy Ministers by various sectors and members of the public. Presidential Spokesperson Mac Maharaj said a Cabinet Lekgotla will be held in mid-June to discuss several things including the Medium Term Strategic Framework for the next five years. Some Ministers have also been meeting stakeholders in their various sectors. Maharaj said The Department of Public Service and Administration, is currently busy preparing proclamations that will abolish certain departments, establish new departments and rename other departments to align them with the reconfiguration announced by the President. “In addition, the DPSA in collaboration with National Treasury and the Department of Public Works, has put in place structures to give effect to speedy implementation of the new Cabinet composition.” Maharaj added. The Congress of South African Trade Union on the North West said it is disappointed with the appointment of MEC’s without proper consultations with alliance structures. Cosatu Provincial Secretary Solly Phetoe said they are aware that it may not be the entire ANC that undermines the alliance especially given the role that alliance played in the so called hot spots during the election campaign. Phetoe added that there are workers that have been given letters. These workers are going to be casualties for not being part of the factions of the ANC in government. According to Phetoe these letters that workers have received state that they must leave by Friday and that is not the correct way that the ANC should do things. New Minister for Human Settlements Lindiwe Sisulu says it is important that she hits the ground running and fast track housing delivery and also to ensure that there is more affordable housing stock in the market. Minister Sisulu said her job now is more difficult than the previous time she held the post. Minister Sisulu held the post back in 2004. Ministerial Spokesperson Ndivuhuwo Mabaya said the Minister has returned to the Department of Human Settlement. Between the year of 2008- 2009, there were a number of unfinished projects and there was a lot of work to be done. A man died and another person sustained serious injuries in an accident on the R102 near King Shaka airport this morning. It is believed that the man lost control of the vehicle and veered off the road and collided into a tree. The Khayelitsha Commission of Inquiry has in the past few months received and perused thousands of documents from SAPS including about 500 police dockets. Over 200 affidavits from community members have been received by the commission. The commission was set-up by Western Cape Premier Helen Zille in 2012 after the South Justice Coalition complained about police inefficiency. Commission Spokesperson Amanda Dissel said the commission will be hearing legal argument from the various parties to the commission. The legal team will provide an opportunity for the legal party to present their summary and understanding of the evidence that has been put forward to the committee. The Democratic Alliance has raised its concern regarding the Growth Domestic Product and that South Africa is at risk of slipping into recession. DA Deputy MP of Finance David Ross said government needs to work anxiously to put an end to the strike in the platinum belt. Ross also called for drastic structural and regulatory reforms proposed by the National Development Plan. Ross said with the country’s economy firstly facing negative growth second to unemployment being over 35% thirdly unrest in the mining sector. We acknowledge that investors’ confidence will be on a seriously low level. “The challenge now is government needs to work hard at putting an end to the strike in the platinum belt but secondly we also encourage government drastically needs to develop a structure and regulate the situation to turn things around Ross added. Cape Town Police are still investigating the shooting which took place on Tuesday night at the Cape Town International Airport which left one person dead. It is believed that a 33-year-old police constable shot three people before turning the gun on himself at one of the restaurants at the airport. Airports Company South Africa Spokesperson Deidre Davids said it was an extremely tragic event and our condolences go out to friends and family. Three other people were also injured as a result of the shooting. 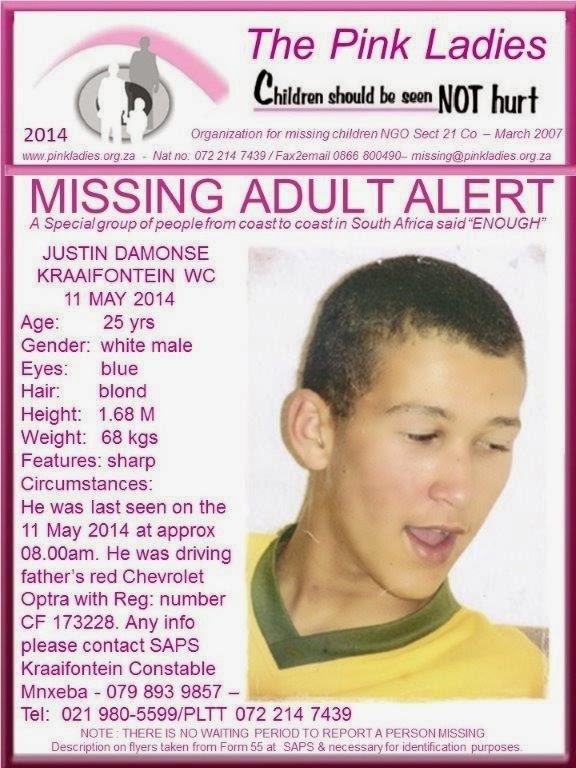 “The South African Police Services are currently investigating this tragedy. The Police have not released the identity of the individual and all flights will land and depart on schedule Davids added. Two mine employees were attacked on Wednesday while on their way to work near Impala’s UG2. The victims sustained multiple stab wounds on the body and feet. Police Spokesperson Brigadier Thulani Ngubane said they are urging mineworkers to allow those who are not on strike to exercise their constitutional rights with neither hindrance nor intimidation. Ngubane said we can confirm that two mineworkers were attacked on their way to work.They sustained serious injuries suffering multiple stab wounds. “Police are currently investigating a case of assault but no persons have been arrested as yet Ngubane added. Western Cape MEC of Agriculture, Economic Development and Tourism Alan Winde says he is happy with the growth of the Business Process Outsourcing Industry. This as the industry has been shortlisted in the 2014 European Outsourcing Association Destination of the Year Award. MEC Winde said the province already has the critical factors in place to become a leading call centre hub in that it offered evectional services to clients as a competitive price. Ministerial Spokesperson Bronwynne Jooste said this nomination is the recognition for the local industries continuous effort to build our call centre industry. Netcare 911 paramedics attended to a serious accident involving two taxis on the M4 near Sibaya, whereby eight people were left injured among them four children. Netcare 911 Spokesperson Chris Botha When they arrived on scene they found all the patients sitting at the side of the road. “The four who are children aged between 3 and 5-years-old all sustained relatively serious injuries. They were treated on scene and transported to hospital for further medical care,” Botha added. Western Cape MEC of Community Safety Dan Plato says he looks forward in working together with the new Minister of Police Nkosinathi Nhleko to make the province a safer place for all. MEC Plato has written to the new minister and said his experience as head of the Specialized Anti-Corruption Unit will set him in good stead to deal with police corruption. Ministerial Spokesperson Greg Wagner said the minister has included a couple of years ago a Western Cape community safety act as well as the Western Cape 2013/14 Policing needs and priorities report for the Minister’s consideration when determining policing policy for this Province. “MEC Plato said that he looks forward to assist Mr Nhleko wherever possible with the view to making this province safer for all our people.” Wagner added. Newly appointed Minister of Home Affairs Malusi Gigaba says the department needs to continue to ensure that every South African receives good quality services, in terms of the critical documentations they need. Minister Gigaba said it is critical that as the department we make sure that the population register is cleaned up and protected. They need public servants who have integrity and can be trusted. Gigaba said we need to continue to tighten the capacity of the state by modernizing home affairs and providing quality professionals to serve our people at our frontline offices. "We must continue protecting our children through the work the Film and Public Publications board is doing and we must continue to ensure that the documentation we offer to South Africa is credible and is of high value and very secure,” Gigaba added. Four suspects aged between 17 and 30-years-old were arrested by the Bellville Crime Prevention Unit for allegedly pretending to be police office. The suspects are allegedly linked to several business robberies in and around Cape Town. Police Spokesperson Captain FC van Wyk said the men are suspected to have robbed a jewellery shop in Green Point last week. Van Wyk said according to information received is that this vehicle was used in different business robberies in Milnerton, Cape Town and several other places in the province. He added that the suspects were arrested during patrols in the Bellville area and they were armed, had police uniforms, radios and some of them are foreign nationals. Police in Gauteng have launched a manhunt for five suspects who escaped from a truck while on route to Mooderbee Prison from Thembisa Magistrate Court. Police Spokesperson Lieutenant Colonel Lungelo Dlamini said the escapes are dangerous as they were appearing in court for violent crimes which include armed robbery, murder, hijacking and business robbery. Dlamini said these prisoners are considered to dangerous and the public is warned to confront them. It is alleged that the prisoners disappeared through the roof of the vehicle as they were on their way back to their cells after a court appearance. The South African Chamber of Commerce and Industry has expressed its concern in the decrease in the Growth Domestic Product in the first quarter of the year. South Africa’s economy shrank by 0.6 percent quarter-on-quarter in the first three months of this year. Chambers Senior Policy Consultant Pietman Roos said the severity of the economic impact of the strike questions whether the country’s labour relations framework is serving the needs of workers, business owners and the country’s development goals. Roos said we believe it’s in large part due to the strike and the whole country is affected by the strike and the impact that its having on the workers its huge. A father who brutally murdered his two-year-old daughter handed himself over to the police on Tuesday. Police in Polokwane were on a manhunt for him for several days. The 33-year-old father murdered his daughter after he set alight the house she was in after having an argument with the mother of the child. Provincial Police Commissioner in Limpopo Lieutenant General Fannie Masemola said the disturbing trend of people venting their anger on innocent children must come to an end. Police Spokesperson Brigadier Hangwani Mulaudzi said the perpetrator is set to appear in the Bolobedu Magistrates court on of arson, murder and common assault. As the police we are happy that he decided to turn himself in because an intense man hunt was already in place in search of him to make sure that his crimes are brought to book Malaudzi added.